Would you like to spend more time enjoying your beautiful backyard? 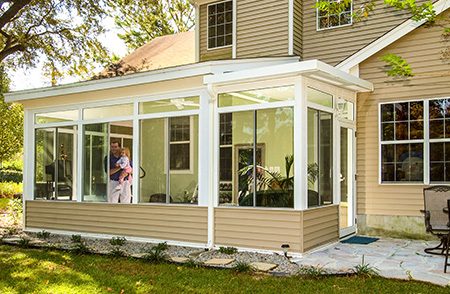 Having a patio cover installed at your Jackson, New Jersey, area home will create an idyllic space where you can relax with friends and family while remaining shielded from the sun. SRA Home Products — a second-generation family-owned and -operated company — proudly installs TEMO-manufactured patio covers at homes throughout the area. Like all of TEMO’s outdoor living products, their patio covers are made from heavy-duty, fully extruded aluminum, which is strong (stronger than wood, vinyl, and roll-formed aluminum) and durable (it even resists rotting, deterioration, and insect infestation!). St. Thomas — These patio covers include curtain walls allowing for optional retractable screens, making them ideal for families who enjoy dining outdoors but hate dealing with mosquitoes and other pests. 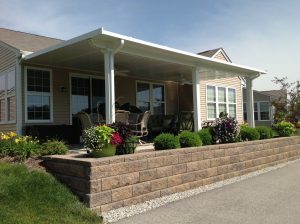 Santa Fe — Similar to the St. Thomas model, these patio covers provide you with the option of adding retractable screens. 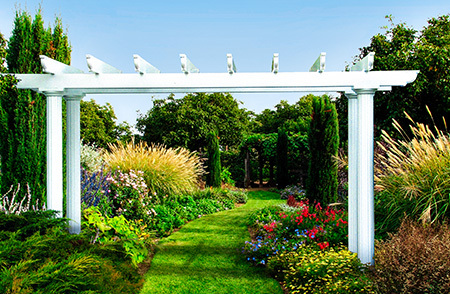 What sets them apart is their beautiful Mediterranean-inspired pergola trim. Sunlight pavilion — These patio covers feature a polycarbonate roof allowing for natural light, making them the perfect choice for those who like to read outdoors but still want some protection from harmful UV rays. And, if you’re interested in protecting your vehicles from sun damage, hail, falling debris, and more, we also offer a carport model. If you’re interested in having one of our patio covers installed at your Jackson, NJ, area home, please contact SRA Home Products today. Our knowledgeable team will provide you with additional information about our product offerings and answer any questions you may have regarding the installation process.